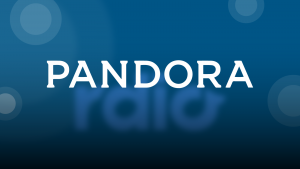 Pandora Internet Radio (also known as Pandora Radio or simply Pandora) is a music streaming and automated music recommendation service powered by the Music Genome Project. The service, operated by Pandora Media, Inc., is available only in Australia, New Zealand, and the United States. The service plays musical selections of a certain genre based on the user’s artist selection. The user then provides positive or negative feedback (as “thumbs up” or “thumbs down”) for songs chosen by the service, and the feedback is taken into account in the subsequent selection of other songs to play. The service can be accessed either through a web browser or by downloading and installing application software on the user’s device such as a personal computer or mobile phone.